As I inch closer to my 40th birthday (it’s still a year and a bit away so I’ve got a little time), I am becoming pre-occupied with signs of aging (or maybe it actually has nothing to do with my mentality about turning 40, and everything to do with the fact that I am almost 40 and symptoms–I mean, visible signs of aging–are starting to come on fast and furious). I’ve got lots of greys (good thing my husband turns out to be pretty good at root touch-ups), and have noticed a laugh line on one side of my mouth, as well as some finer lines around my eyes. Eek! It’s sort of scary and unbelievable to witness these changes in yourself but I try to maintain a healthy attitude about it because I want to set a good example for Gigi and Viggo. I can’t just tell them that the way we look isn’t the most important part about who we are–I have to model it. And I also try to maintain my sanity by reminding myself that growing old is a gift, despite our youth-obsessed society. Truthfully, I always envisioned myself growing old gracefully like Meryl Streep or Diane Keaton and while I am positive I’ll never get age-defying plastic surgery, I don’t mind trying to slow the process down a little by dyeing my grays and trying products that promise to diminish fine lines and wrinkles. 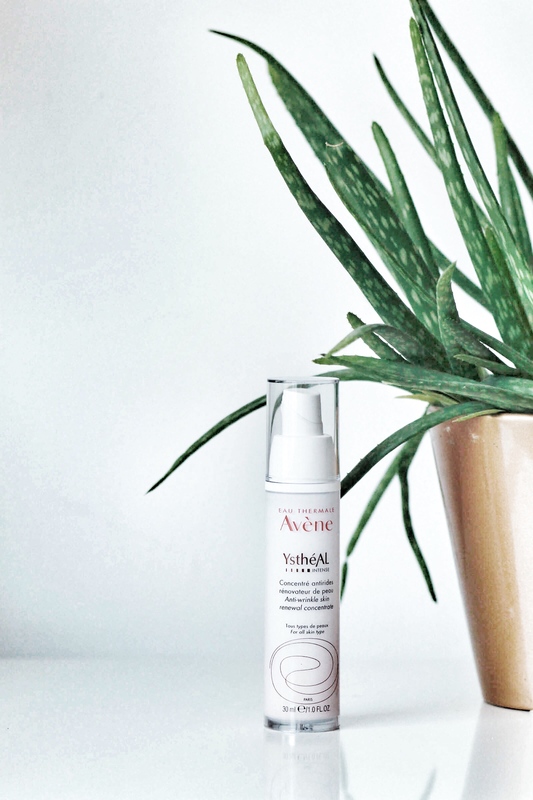 Needless to say, I was on board when it came to testing Avène YsthéAL Intense–touted as a chemical peel in a bottle. Funnily, I had just purchased the new-to-me brand’s Hydrating Cream with SPF upon recommendation, and liked it, so the odds were in its favour from the get-go. While I’m happy with the results of the unique cream containing high concentrations of three active ingredients; Retinaldehyde (smooths and brightens), Pre-Tocopheryl (provides antioxidant protection) , and GGO (improves skin’s elasticity), it took my skin a little while to get usd to it (I’ve been using it for about a month). At first I was using it every night but my skin got irritated after a few days, so I took a break, let my skin rest, then started using the product every second night as recommended, which seems to have done the trick! Some mornings, following application the night before, I wake up to what look like dry patches, but they easily slough away when I wash my face in the shower, leaving only fresh, dewy skin. I didn’t think it was making that much of a difference until I was looking back through blog photos from a week or so ago and noticed that my skin looked good (it usually tends to be dull, probably from dehydration because I KNOW I don’t drink enough water). And dare I say it–but my laugh line really does seem less obvious! I’m definitely planning on giving Avène YsthéAL Intense pride-of-place in my skincare regime, so that I can continue to see results! 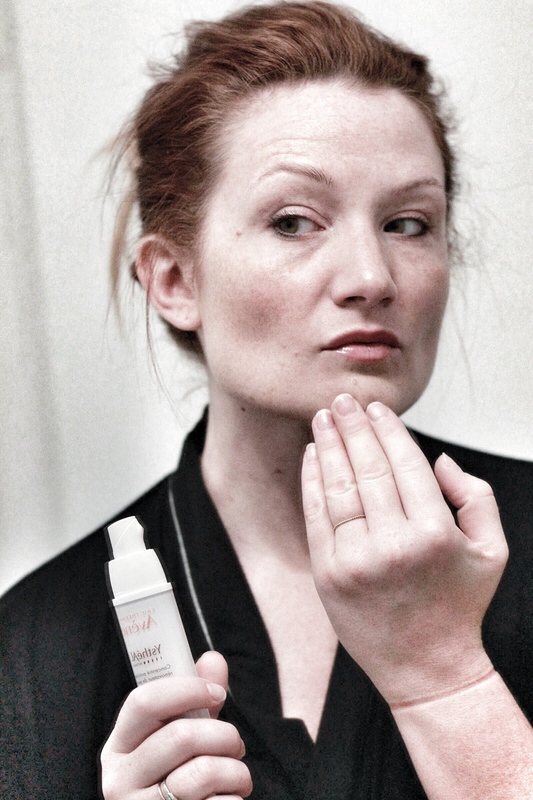 *Eau Thermale Avène sent me the products to review in this post but opinions are my own.